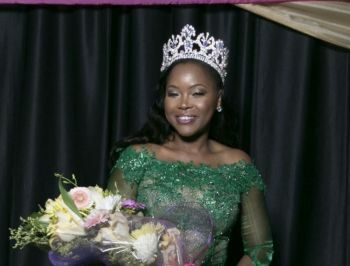 BAUGHER'S BAY, Tortola, VI – Beauty queen and Virgin Islander, Ms Zoe J. Walcott who placed 8th out of 86 contestants at the recently concluded 2018/19 Mrs Globe Pageant, says conversations around women empowerment needs to hit the front burner in the Virgin Islands (VI). In an interview with ‘Honestly Speaking’ host, Mr Claude O. Skelton-Cline, during the December 5, 2018 broadcast of his radio show on ZBVI 780am, the VI beauty queen is asserting that the church and even parents need to do more to empower not only women, but also boys to recognise their worth. “Once you win, your mandate for that year is basically to offer that level of service, to further the dynamics in terms of the conversation [with issues],” Zoe told the man of cloth, Mr Skelton-Cline during the broadcast. “Certain things that may not [be] in this part [of the world], you would still be surprised to realise that there are some of those issues right here,” she said. “It’s easy to say ‘women empowerment’ when we don’t fundamentally understand where the core of the issue is… the core of the issue is one thing to tell somebody, you have to have to value [for] yourself, but for them to understand their value, is something totally different,” Walcott shared, noting that it is something that needs to be progressively looked upon in the VI. “There are a number of things that I would be working on, even up into 2020, that would help to guide the way that our young women and the young men view themselves… so that they recognise their value is more,” she shared. On the notion that women are placed in an economic disadvantage, hence having to use their sexuality as currency, Walcott said that cultural factors might be coming into play with such behaviours. “There are a number of factors one has to look at, some of that is cultural dynamics as well… there are certain persons when they come in… they have been trained, that is the way to be successful,” she said. “Because you are beautiful, you have already been modelled to promote that level of sensuality/sexuality… so how do we counter that? How do we counteract that?” the VI beauty queen questioned. Women need to stop tearing each other down. They need to show empathy, compassion, love, and embrace each other. Be your Sistah's Keeper! Don't look down on each other unless you are offering a lending hand. I always admire for her strenght and positive outreach.This is good reading instead about this political hot air every day.Zoe we never met but blessings always. Please read you bible —— 1 Corinthians 14:34-35. “ The women should keep silent in churches. For they are not permitted to speak, but should be in submission.—————For it is shameful for a woman to speak in church.